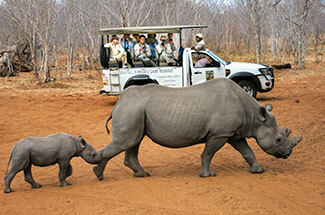 UW Alumni Tours works with the most professional and highly-experienced tour operators, selected based on their destination expertise, reputation and top quality programming. By working with a variety of operators, we can offer a broad spectrum of tours for different travel tastes and expectations. Most importantly, all operators are dedicated to educational travel in the pursuit of life-long learning. 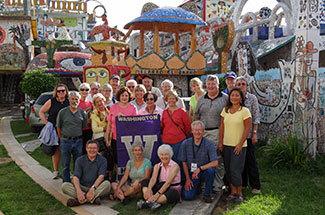 UW alumni have been traveling with AHI Travel since the 1970s. Offering deluxe international educational tours, AHI is best known for its European river cruises, Crystal Cruise Line itineraries, other small-ship cruises, and its Alumni Campus Abroad series. These specific tours allow for an intimate experience in small towns and remote destinations complete with lectures and local exchanges. In addition, we are excited that on a few select tours each year, AHI is able to offer spots that do not require the single supplement. 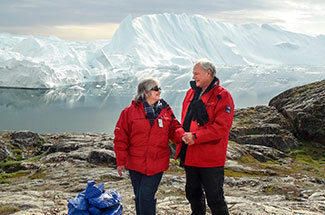 In 2009, UW Alumni Tours started to sponsor tours with Go Next to offer UW alumni and friends luxury cruising with Oceania Cruises, known for their deluxe ships, exceptional culinary experiences and exciting itineraries. Through Go Next’s partnership with Oceania Cruises, it secures group space for various university alumni associations and act as the universities’ cruise agency, taking care of reservations for all alumni clients from start to finish, and providing excellent customer service. By matching Oceania’s lowest prices available, Go Next ensures that UW travelers receive the best value. Go Next’s additional partnerships allows UW Alumni Tours to sponsor cruises on the Mississippi River, around Cuba and through the Great Lakes as well. See our 2019 Go Next & Oceania Cruises lineup. 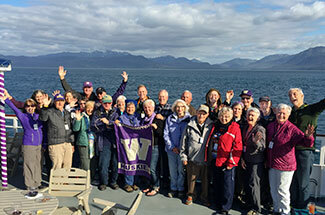 Since 1999, hundreds of UW alumni and friends have enjoyed world-wide educational travel with this small, privately-owned company. Founded in 1998, Odysseys Unlimited is a six-time honoree of Travel + Leisure‘s World’s Best Tour Operators award. A favorite of UW alumni, Odysseys has emerged as a leader in affordable, high-quality small group travel. With a maximum of 24 participants per trip, its tour groups stay in smaller, unique hotels, and offer intimate cultural experiences not available to larger groups. Odysseys further distinguishes itself by employing highly-educated, local tour directors who explain the history and culture of the destination throughout the tour. Orbridge, based on Bainbridge Island, works with more than 100 alumni associations to provide the ultimate educational travel experience. Its trips include the perfect combination of delightful high-end properties, included features and free time, expert guides, lecturers and personalized service from start to finish. 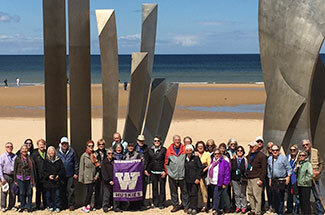 Beginning in 2011, UW Alumni Tours has offered a variety of tours through Orbridge such as exploring America’s National Parks and Africa safaris to culinary tours in Europe. SET provides sports and event enthusiasts unique access to special festivities. 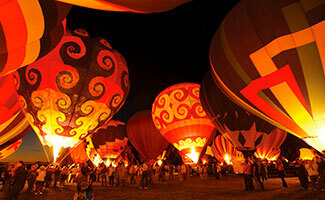 Through this tour operator, UW alumni and friends can experience incredible fan-filled adventures at events, such as the Kentucky Derby, Albuquerque Balloon Fiesta and more. Thomas P. Gohagan & Co.
Gohagan develops and operates deluxe group travel programs for America’s most prestigious museums, universities and cultural institutions. Its unique itineraries and educational components are paired with the style and comforts of the world’s finest cruise ships, trains and hotels, and enhanced by world-class guides and academic experts. Throughout its deluxe river cruises, safaris and land programs, Gohagan offers special features not available to the traveling public.